MADES BATH & BODY encourages to take a moment to drift away and treat yourself with the ultimate body care experience. A high quality personal care range in trendy packaging: Pastels represent softness, femininity and ultimate luscious care. The visual expression of luxurious indulgence is boosted thanks to the metallic added to the bottle and tube, combined with tops in the same colour tone. The first moment we touched and smelled the products, we fell in love with this high quality personal care range in trendy packaging: Indulgence is co-created by the selected fragrances and extracts. 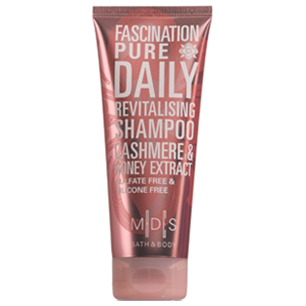 This pure shampoo, with argan oil and a blend of honey, hawthorn, lotus and cashmere extracts, boosts volume and revitalises your hair resulting in shiny and healthy looking hair. Gently cleanses and has a lightweight natural conditioning system for manageable and smooth hair. This shampoo contains no colourants and is silicone and sulfate free. 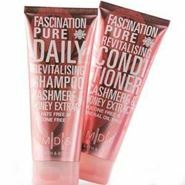 This pure conditioner, with 5 nourishing natural oils and a blend of honey, hawthorn, lotus and cashmere extracts, boosts volume and revitalises your hair resulting in shiny and healthy looking hair. A lightweight natural conditioning system with superior detangling properties for manageable and smooth hair. 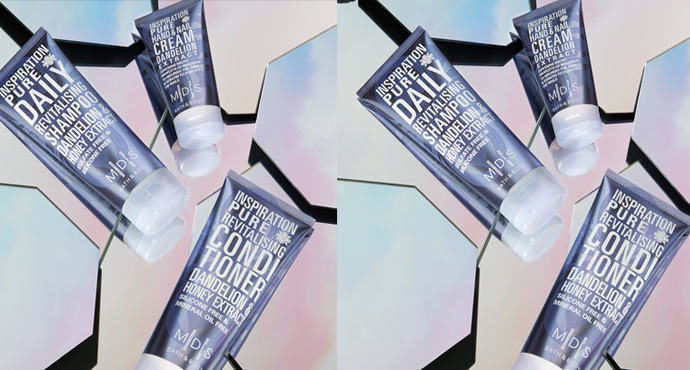 This conditioner contains no colourants and is silicone and mineral oil free. The fragrance first reveals zesty bergamot and lime leading to the floral heart of violet accords with an aquatic touch with cashmere extract: known for skin softening and hair conditioning properties. 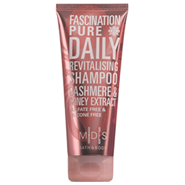 This pure shampoo, with argan oil and a blend of honey, hawthorn, lotus and dandelion extracts, boosts volume and revitalises your hair resulting in shiny and healthy looking hair. Gently cleanses and has a lightweight natural conditioning system for manageable and smooth hair. This shampoo contains no colourants and is silicone and sulfate free. 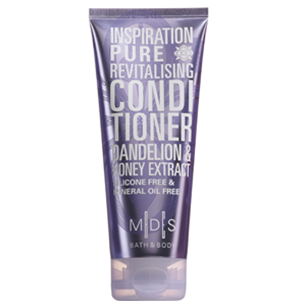 This pure conditioner, with 5 nourishing natural oils and a blend of honey, hawthorn, lotus and dandelion extracts, boosts volume and revitalises your hair resulting in shiny and healthy looking hair. A lightweight natural conditioning system with superior detangling properties for manageable and smooth hair. This conditioner contains no colourants and is silicone and mineral oil free. The fragrance starts with fresh and fruity notes with spicy pink pepper succeeded by an elegant floral heart of violet, jasmine and tender almond blossom settling into a base of cedar wood and musk. 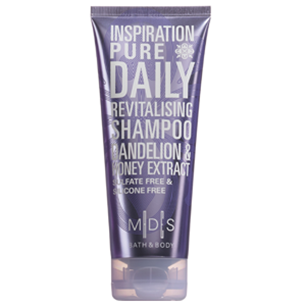 with dandelion extract: known for nourishing the skin and strengthening the hair. Sonya "Супер е. Овлажнява сухата коса, прави я мека и се разресва лесно след това. Ползвам и балсама." Tzvetelina "Препоръчвам :) Отразява се чудесно на сухата ми коса." Sonya "Чудесен е! Изглажда косъма и хидратира сухата коса. Препоръчвам и шампоана"